THE FOLLOWING PAGES OFFER HORSES FOR SALE BY EAGLE RIDGE FARM. 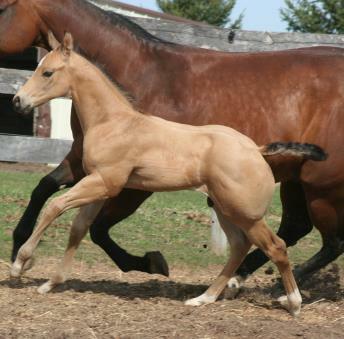 WE ALSO LIST HORSES FOR SALE FROM SEVERAL OTHER PARTIES. WE OFFER THIS SERVICE TO BE OF ASSISTANCE TO THOSE THAT DON'T HAVE THEIR OWN WEB SITES. THE INFORMATION PROVIDED IS FROM THE SELLER. SINCE INTERPRETATIONS CAN VARY, IT IS UP TO THE BUYER TO VERIFY THE ACCURACY OF ALL INFORMATION BEFORE PURCHASING A HORSE ADVERTISED HERE. DEPOSITS MADE ARE NON-REFUNDABLE. THERE ARE NO WARRANTIES, EXPRESS OR IMPLIED. EAGLE RIDGE FARM WILL BEAR NO RESPONSIBILITY FOR INACCURATE INFORMATION. IMPORTANT..If this is not your first time here...... hit "REFRESH" for current information. We are constantly updating these pages. Terms available to approved buyers. Credit card payments accepted via PayPal - it's fast, easy and secure! (check out our WANTED page). If you're LOOKING for something in particular, let us know. We're in constant contact with horse owners from all over the country and may be able to locate exactly what you're seeking. On occasion, we send out a newsletter or email updates on horses we have for sale or that clients have for sale, new foals, new additions, client successes, Show results, etc...If you would like to be added to our NEWSLETTER simply enter your EMAIL address below. You can easily unsubscribe at any time. These are TOP Quality Show prospects & "hand-picked" mares that have produced great foals or are bred to be great producers. Helping our clients reach their goals is an important part of our breeding program. Our clients have acheived WORLD CHAMPION, RES WORLD CHAMPION, CONGRESS CHAMPION, NATIONAL HIGH POINT awards & MANY, MANY Futurity Championship titles with horses out of our breeding program.